John Dee was an advisor to Queen Elizabeth I, in particular, on the reform of the calendar. His activities in this area are described in an article on this website by Dr Robert Poole. What is not mentioned in that article is that (as shown by investigations by Simon Cassidy) Dee did not in fact propose the adoption of a modified form of the Gregorian Calendar (with the omission of 11 days instead of the Pope’s 10 days) but actually intended a quite different and superior calendar reform — an Elizabethan calendar with a 33-year cycle (based on the life of Jesus) including eight leap years and with the spring equinox always occurring on March 21 (provided the calendar was used at a certain meridian of longitude). In the Gregorian Calendar a year whose year number is divisible by 4 is a leap year unless it is divisible by 100 but not by 400 (in which case it is not a leap year). Thus the years 1600 and 2000 are leap years, but 1700, 1800, 1900 and 2100 are not. In the calendar proposed by John Dee the rule for which years within a 33-year cycle are leap years is: A year is a leap year if (and only if) the remainder, when the year number is divided by 33, is non-zero and is an exact multiple of 4. The Dee Calendar, and its variant, the Dee-Cecil Calendar, is discussed in more detail in The Dee-Cecil Calendar and its Date Conversion Algorithms. Simon Cassidy has proposed that John Dee had a secret plan for the implementation of his calendar, one which (a) would have confounded the Catholic calendar reform (if implemented) and (b) did catalyse the first attempts at a trans-oceanic British Empire under the Protestant monarchs Queen Elizabeth I and James I. The primary motivation for the Gregorian calendar reform was that the date of Easter was slowly slipping (reaching about ten or eleven days by the 16th C.) towards summer. This date is sometimes loosely defined as the first Sunday after the first full moon after the spring (a.k.a. vernal) equinox (which, as astronomer Duncan Steel has stated, implies that Easter can occur any time between March 22 and April 25). The actual rule in both the Gregorian and Julian calendars is that Easter is the first Sunday after the first ecclesiastical full moon day, on or after the date of March 21st (the ecclesiastical spring equinox).The ecclesiastical full moons are determined by the Golden number of the year and in the Gregorian calendar also by the epact shifts of all the Golden number dates (which shifts occur only in certain century years). No one really knows whether the Nicene fathers got any further than deciding that all christians had to obey the same rule (without specifying an actual rule, other than the probable introduction of the Sunday endpoint). Those who like to say the rule is “the first Sunday after the first ecclesiastical full moon day, after the date of March 20th” are forgetting that the Church documents actually state the date of the church’s equinox as the 21st of March (as King Phillip II of Spain emphasized to the Pope, Gregory XIII, prior to his reform). Unfortunately in the Gregorian Calendar the vernal equinox can occur on any of March 19, 20 and 21, as shown in Figure 3 of Simon Cassidy’s Stonehenge Speaks: An Open Letter to Umberto Eco (PDF file). The vernal equinox cannot always occur on March 21 in the Gregorian Calendar (or on any single date) because in that calendar it is possible to have a leap year followed by seven non-leap years, e.g., 1796 (a leap year) followed by the years 1797-1803 (since 1800 was not a leap year). The true length of the seasonal year is about 6 hours longer than 365 days, so the vernal equinox occurs about 6 hours later from year to year. Over a period of seven years the last vernal equinox will occur about 42 hours later than the first, unless the date of the vernal equinox is made to be earlier by the insertion of an extra day in the preceding February. But if those seven years are all non-leap years, then this adjustment will not occur, so the 42 hours will always span at least two calendar dates. Sometimes during these seven years the vernal equinox will span three calendar dates, as in the following example (times are GMT). Note that 1800 is not a leap year in the Gregorian Calendar. 1804 is a leap year, so a February 29 occurs in 1804, which pulls the vernal equinox back to March 20 (at 19:17). The time-of-day of the vernal equinox moves forward by about six hours each year, so in four years it moves forward by about 24 hours. Actually it always moves forward by less than 24 hours. What follows is a heuristic argument to show that, under certain conditions, the vernal equinox could always occur (at least, within a certain range of years) on the same date in the Dee Calendar. A 33-year cycle in the Dee Calendar consists of seven 4-year periods (years 1-4, 5-8, etc.) in which the 4th year is a leap year, followed by a 5-year period (29-33) in which the 4th year (the 32nd year of the cycle) is a leap year. Consider a 4-year period. Consider a day (more exactly, a nychthemeron) as divided into quarters (midnight to 6 a.m., etc.). If in the 1st year the vernal equinox occurs in the 2nd quarter (6 a.m. to noon) then it will usually (though not always) occur in the 3rd quarter in the 2nd year, in the 4th quarter in the 3rd year, and in the 1st quarter in the 4th year. Since the 4th year is a leap year, the date of the vernal equinox remains the same as for the 1st year. The vernal equinox in the following year, which is the 1st year of the next 4- or 5-year period, occurs in the 2nd quarter, and so has the same date as the preceding four years. Consider now the final 5-year period. If in the 1st year the vernal equinox occurs at about 7 a.m. then in the 2nd year it will occur about 1 pm., in the 3rd year about 7 p.m., and in the 4th year about 1 a.m.. So the date of the vernal equinox in that year remains the same as for the 1st year because the 4th year is a leap year. Then in the 5th year the vernal equinox occurs about 7 a.m., on the same date as in the previous year. Thus for the vernal equinox to occur on the same date each year in the Dee Calendar vernal equinoxes must always (or at least usually) occur in the 2nd quarter in the first year of each 4-year period and at about 7 a.m. in the first year of the final 5-year period. This might seem to be asking a lot (that is, the assumptions might never be fulfilled). Note, however, that the time-of-day of any event (such as the vernal equinox) is relative to local midnight, and local midnight depends on the place on Earth (more exactly, the longitude) where one is. So it may be that for most longitudes the assumptions are never fulfilled. But in fact for certain periods there is a longitude where the vernal equinox always occurs at just the right times of day, so that it always occurs on March 21 in the Dee Calendar. 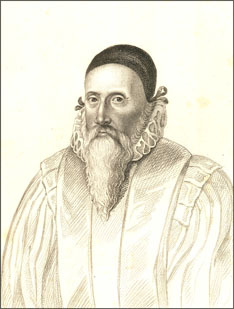 Simon Cassidy has proposed that John Dee, after formulating his calendar in the 1560s (1564-1568), considered the question of whether there is some longitude at which the vernal equinox always (or at least for several centuries) occurs on March 21, and that (after much observation, diplomacy and computation) he arrived at the correct answer: 77° west of Greenwich. At this longitude the vernal equinox will always occur on the same calendar date: March 21 in Dee’s calendar (in accord with the ecclesiastical spring equinox date), or March 20 in the Dee-Cecil variant, during the 300 years from 1580 through 1879. The 33-year leap-day cycle of Dee’s calendar accords with, and repeats indefinitely, the actual leap-days in the traditional lifetime of Jesus (years 1-33 AD). Dee (according to Simon Cassidy) believed that the obvious superiority of his calendar over the Gregorian would so much appeal to Christians everywhere that they would abandon the Gregorian reform in favor of his calendar, which was to be promulgated under the auspices of the Protestant Queen, Elizabeth I.
the adoption of the mathematically simplest, and most Christian, implementation of the 33-year cycle would logically specify the existence of a meridian or narrow band of longitudes within which, and only within which, the Nicene edict could stay correct. This would probably have come to be seen as God’s chosen meridian by all Churches that recognised the Nicene council. After reading this, Duncan Steel coined the term “God’s Longitude” to denote this “narrow band of longitudes”. Further details are given by Simon Cassidy in his articles Re 4-1/8 yr. Leap Rule responses of Richard, Jim and Amos and Implementing a correct 33-year calendar reform. The problem in implementing Dee’s calendar in the early 1580s was that longitude 77° W was then under the control of the Spanish (who had colonized the Caribbean and parts of South America), and unfortunately they owed allegiance to the Pope. It would not do to announce the new Protestant calendar when God’s Longitude was not in the possession of Protestants but rather of Catholics. Thus Dee proposed to Queen Elizabeth that an expedition should be mounted to colonize the East Coast of North America, so as to take possession of at least part of God’s Longitude, thus preparing the way for the advent of the new calendar and the demise of the Gregorian reform. Because of this interest of Elizabeth in colonizing North America Duncan Steel considers Dee’s calendar to be the most important invention in the last 2000 years (see his The Non-implemented 33-Year English Protestant Calendar). OK, I get it. The English establish a colony on the seventy-seven degree meridian, operating in secret. Once they’ve established it, they announce the Dee calendar to the world. A calendar that paces the life of Jesus, that’s more true to the Biblical Easter, that holds more closely to the seasons. Irresistible! England’s influence with other Protestant nations is increased, and the Antichrist, in the form of the Pope, is stuck flogging a second-rate ecclesiastical calendar which they’d only just introduced. Game, set and match to the Protestants. Quite a lad was our John Dee. Consider now how to locate God’s Longitude exactly. This longitude cannot be found by analytical reasoning but only by computation (using data obtained by observation, in particular, vernal equinox times). Based on algorithms that I developed for conversion of dates in the Dee(-Cecil) Calendar to and from Julian day numbers, I wrote software for Dee(-Cecil) date conversion. This software includes the ability to calculate the date and time of the vernal equinox both for the Gregorian Calendar and for the Dee and Dee-Cecil Calendars as used at any given longitude from 70° to 79°59′ west of Greenwich. Furthermore, this software allows use of both apparent solar time and mean solar time (as explained in the user manual). The primary result from using this software (in the context of this article) is that during the period from 1555 through 1879 the vernal equinox would always have occurred on March 21 in the Dee Calendar (using apparent solar time, as Dee did) if that calendar had been in use at longitude 77° W.
To shew the sun of Christ birth day. If Dee was counting years from 1580 then he was saying that during the 300 years from 1580 through 1879 the vernal equinox always occurs on March 21 in his new calendar (at longitude 77° W). This is true (though in 1880 it occurs on March 20). Simon Cassidy has pointed out that this is evidence supporting his hypothesis that Dee was (secretly) advising Queen Elizabeth to mount an expedition to North America in order to take possession of God’s Longitude. If we consider the 292-year period from 1588 through 1879 we find that the vernal equinox always occurs on March 21 in the Dee Calendar for any longitude from 75°30′ W to 78°30′ W (using apparent solar time). Thus during 1588-1879 God’s Longitude was this 3-degree range of longitudes, centering on 77° W. It is interesting to note that the longitude of the Capitol Building in Washington DC (denoted zero degrees by the District of Columbia’s original architect Pierre L’Enfant ca. 1790) is 77°0′ W. Coincidence? Due to the decrease in the speed of the Earth’s rotation, God’s Longitude has been slowly moving east since Dee’s time. So where is it now? That depends on whether we use apparent or mean solar time. Midnight as now understood occurs at the same instant throughout any single timezone. That instant is local midnight at the longitude taken as the reference point for that timezone (which is usually a multiple of 15° different from the Greenwich Meridian). That local midnight is midnight mean solar time, not midnight apparent solar time. Therefore we should use mean solar time. We then find (using the Julian-Gregorian-Dee Date Calculator) that for the 400-year period 1801 through 2200, for all longitudes from 73°36′ W to 75°29′ W, the vernal equinox always occurs on March 21 in the Dee Calendar. Thus God’s Longitude now exists at this band of longitudes around 74°30′ W. Consulting a map of the world we find that New York City (73°58′), Bogota (74°5′) and Guantanamo Bay (75°14′) are all within this band. This seems appropriate, seeing as how the world is currently dominated by international bankers, South American drug lords and the US military. From the end of the nineteenth century (1883), local midnight has become synchronised by time-zones, using the meantime of standard-longitudes, generally at 15 degree intervals from Greenwich. Thus we see that, currently, during Vernal Equinoxes, the whole of the USA’s central time-zone is running on the local meantime of the standard-longitude of 75° W. (due to Daylight Savings Time being now effective in the USA at every Vernal Equinox). Thus America’s heartland, and all regions having this property (of using 75° W. meantime, during Vernal Equinoxes) now share the specter of John Dee’s Imperial Godly Longitude.